Ribbon makes me think of gifts and one of the best gifts we could get this Christmas would be Peace on Earth, don't you think? I had this square sentiment from Creatiate and a little ribbon from Simon Says Stamp. I heat embossed the ribbon in silver and then heat embossed the sentiment in clear before masking and sponging the 'present'. 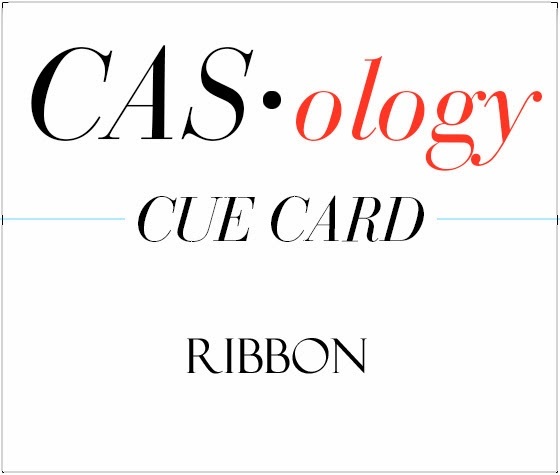 So it's possible to make a CAS card with heat embossing and sponging. In fact I would say it's easy if you follow the absolute number one rule of CAS and leave loads of white space. Now it's your turn - but before you go, check out the rest of the DT's interpretations of Ribbon! You are the queen of CAS! I bow down to you! This is amazing! Love the card Ardyth - simply perfect! 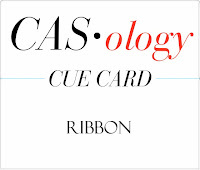 Great CAS card it is so elegant I really love visiting your blog because I never know what to expect next! I agree, peace on earth is a real gift. Lovely emboss sponging, you are such a wiz at this!! That color blue is so fresh!! 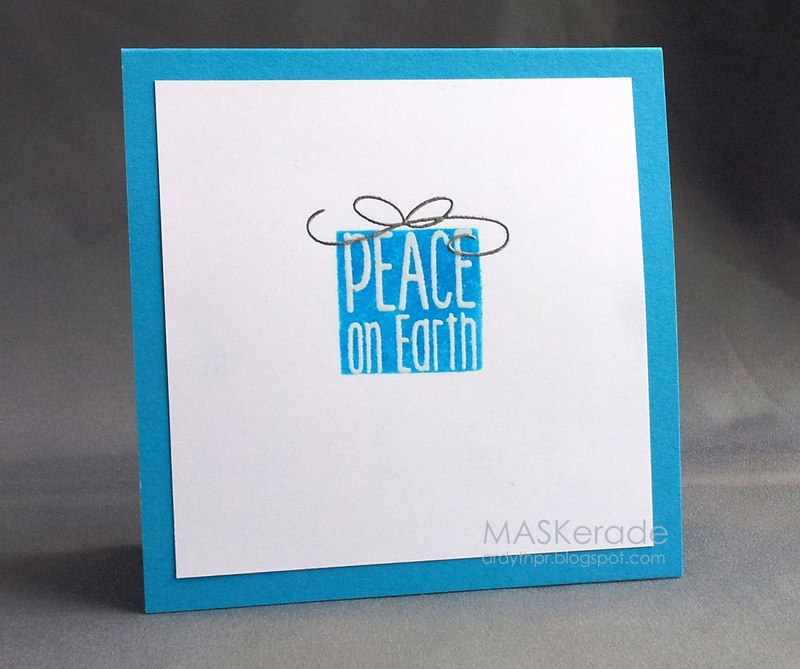 Love your card - so simple, yet so perfect for the Holiday season. 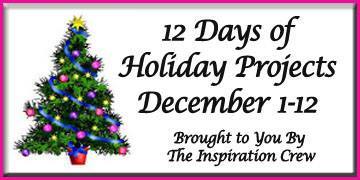 Peace on earth would be an amazing gift in my book! Gorgeous card, Ardyth! I love your take on the cue card...so clever! And, I agree...peace on earth would be the best gift, ever! such a stunning way to use the emboss-resist! it looks awesome! what a wonderful package of Peace Ardyth! very creative design! wow totally gorgeous and love that color.. This is absolutely the best card! Love the sweet little package with the huge message. Amazing. The perfect present - topped by the perfect bow! Ardyth I just love the gold embossed ribbon on your package! CAS perfection Ardyth! Sorry for the lack of visits lately, life has been far too busy! Ardyth, this message says it all...best gift ever! Love the embossing and sponging!